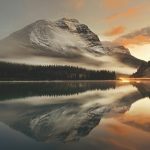 Seabourn, the world’s finest ultra-luxury travel experience, is announcing a new pre-cruise opportunity for guests to explore the beauty of western Canada during the upcoming 2019 season in Alaska and British Columbia through the UNESCO Banff National Park & Rocky MountaineerSeabourn Journeys package. 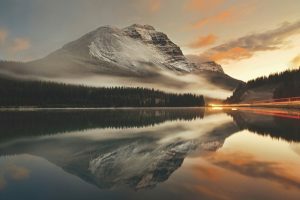 Guests will experience the grandeur of the majestic Canadian Rockies, the breathtaking UNESCO World Heritage site of Banff National Park and picturesque Lake Louise, including two days on one of the world’s most spectacular rail journeys in a luxury, glass-domed coach. Ultimate Glacier & Fjord Adventure – A 14-day sailing southbound from Anchorage (Seward), Alaska to Vancouver, British Columbia. Three departures from June to September will begin with scenic cruising of the beautiful Kenai Fjords and Aialik Glacier before visiting Alaska’s marquee ports and adding Prince Rupert and the First Nations villages of Klemtu and Alert Bay in British Columbia’s breathtaking Inside Passage. Departures June 18, July 25, August 31. All 2019 voyages in Alaska and British Columbia will offer highly coveted Ventures by Seabourn optional for-charge shore excursions featuring guided Zodiac cruising and kayak excursions launched directly from the ship, as well as hiking and wildlife viewing. Guests will not only enjoy glaciers, fjords and rustic Alaskan ports that every Alaska cruiser expects, but also signature “hidden gems” that larger ships cannot access. The excursions will be led by Seabourn Sojourn’s expedition team of naturalists, science, wildlife, and historical experts who will be available to interact with and inform guests in many ways throughout each sailing. For reservations or more details on Seabourn’s 2019 season in Alaska and British Columbia, please contact a travel advisor; call Seabourn at 1-800-929-9391 or visit www.seabourn.com. A dedicated shore excursion call center is available for guests at 1-800-984-3225.